You may have noticed in recent months the attractive Meals on Wheels vehicles featuring fresh food, fruit, and vegetables parked by the loading dock or traveling around city streets.Several of the colorful vehicles now have another new addition, thanks to Senior Whole Health and RiverWorks Credit Union, whose support of Meals on Wheels is now emblazoned on the backs of two of the program’s delivery vans. “Meals on Wheels is arguably one of the most important and visible programs we offer,” says Paul T. Crowley, GLSS’ Chief Executive Officer.“This simple community outreach—the delivery of a hot meal to a neighbor in need—is really central to our mission of helping people stay healthy, connected, and independent.”Every weekday, GLSS delivers over 1,400 meals to people who live in Lynn, Lynnfield, Nahant, Saugus, and Swampscott.The program serves some of the most vulnerable people in the community: home-bound seniors who are unable to prepare their own meals because of cognitive or other health challenges and would otherwise be at risk of losing their independence. 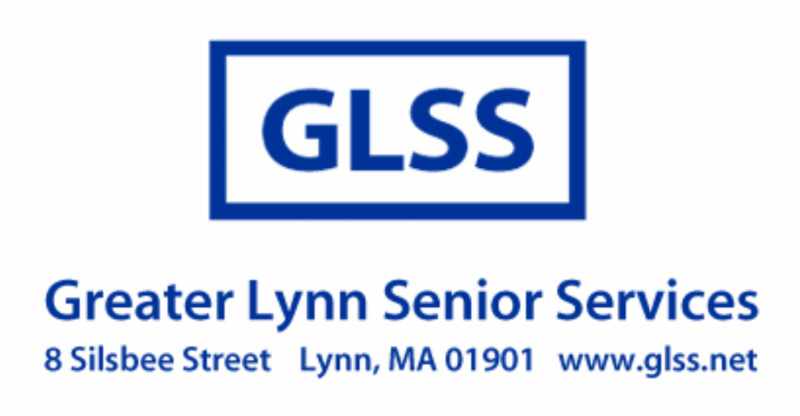 “Meals on Wheels is one of the critical programs funded by the Older Americans Act or what are referred to as 'Title III' programs,” says Susan Thomas, GLSS'Title III Planner. In addition to Nutrition, other Title III programs include Information and Referral, Money Management, Family Caregiver Support Program, healthy living programs (Wellness Pathways), Ombudsman Program, legal services (through Northeast Legal Aid), health screening (The Lucy Booth), and a network of eight grant-funded external community agencies. Above, Paul T. Crowley, GLSS’ Chief Executive Officer, with one of the newly wrapped Meals on Wheels vans. Nutrition Program Manager Tom Carnevale came up with the idea for the Sponsor-A-Route campaign, after attending a conference last year. In addition to covering the cost of the colorful van wraps, the funds will be used to maintain the vehicles. "Our vans are on the road for 3 or 4 hours straight every weekday," notes Stacey Minchello, who directs GLSS' Nutrition programs. "With our growing fleet, maintenance costs are increasing, and this seemed like a great solution." The Nutrition Department recently acquired two new Toyota Sienna minivans, which have been wrapped and are awaiting sponsors. "Ideally, we are looking for at least three more route sponsors," she adds. Recently, staff from Senior Whole Health stopped by for a publicity photo shoot with their "Sponsor-A-Route vehicle and had fun hamming it up for the camera. From left to right, Paul T. Crowley, Chief Executive Officer (GLSS); Tom Carnevale, Nutrition Program Manager (GLSS); Mera Adella Som, Marketing Specialist (SWH); Patricia Jennings, Manager of Sales and Marketing (SWH); Stacey Minchello, Director of Nutrition (GLSS), and Juan Carlos Ascencio, Marketing Specialist Team Lead (SWH).